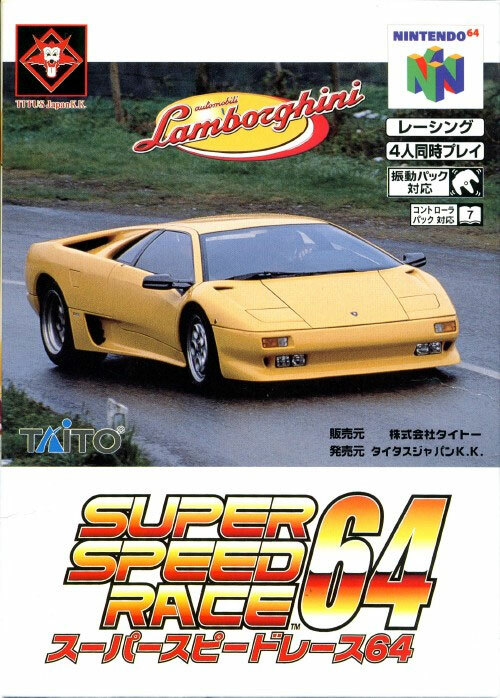 Makes use of the very tasty Lamborghini license allowing players to ruin perfectly good tyres by the dozen. Intelligent lighting effects as the tail lights glow reassuringly into the dusk mountain passes. 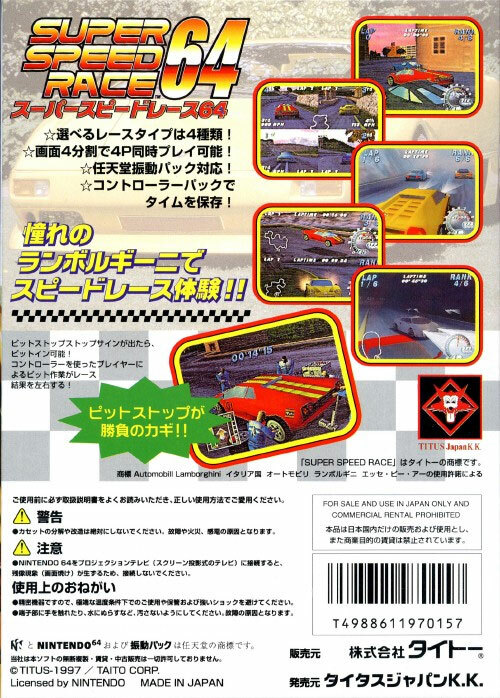 Fine roster of cars and courses. Known as Automobili Lamborghini. Second hand. Cart only: no manual or box are supplied.